This sub-page shows all current and historical results of Thunderball draws. All the results are in a column to make it easy to find and trace a particular set of numbers. Current results of each night draw are displayed shortly after officially announced. Check the results with our web checker to see whether you have won and how much. 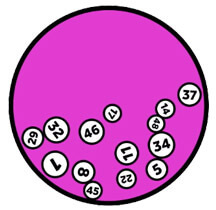 The thunderball draw results are shown in real time, i.e., thunderball results can be observed live at 8 PM (UTC and 00:00) on the official website of Thunderball on those four days mentioned above. The online and offline (purchased from authorized resellers) sale of tickets mandatorily ends on 7-30 PM on Wednesday and 7-30 to 9 PM on Tuesday, Friday, and Saturday for the evening draw scheduled for that day of the week. For every draw, there are nine different prize tiers described below and ranges from a fixed sum of three British Pounds (when the Thunderbird alone gets matched) to a whopping half a million for winning the jackpot. Every player who possesses the five primary, thunderball winning numbers and the Thunderball receives the promised sum of half a million. A player is required to select five primary numbers in the range of one to thirty-nine, and also one Thunderball number ranging from one to fourteen, or can go for a Lucky Dip to avail a randomized selection process. Finally, the participant is allowed to choose the number of lines that person will be playing. 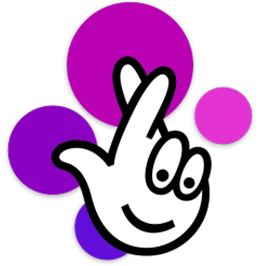 One can opt for a maximum of seven strings for each lottery slip and can accumulate a large number of slips (not more than ten) at a time. Then, one can select the draws and can also choose the weeks when the gamer is willing to play. One has the liberty to schedule a draw or the draws in advance (not more than a month) or can set up a hassle-free method of Direct Debit from that person’s bank account to be continually eligible for all the draws in the coming days.